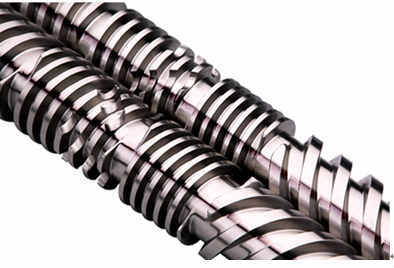 Shanghai Adsale Exhibition Beimete Machinery Shows High Quality Barrel Screws - Zhejiang Bimetal Machinery Co.,Ltd. Injection molding machine extruder accessories - barrel screw. Widely used in domestic and imported 30-400000g injection molding machine, 15-250mm single screw extruder, 30-130mm tapered, parallel twin screw extruder and various rubber machinery, chemical loom, puffed food machinery, etc. . Using high-quality steel 38CrMoALA, the product is manufactured through quenching and tempering, qualitative, nitriding, fine grinding, polishing and other processes. It strictly follows the ISO9002 international quality control system.